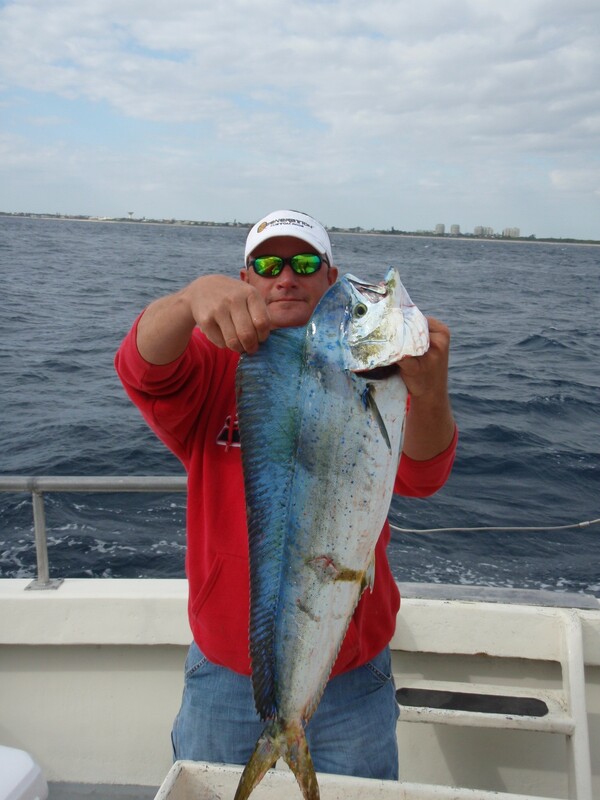 You are currently browsing the tag archive for the ‘charter fishing west palm beach’ tag. 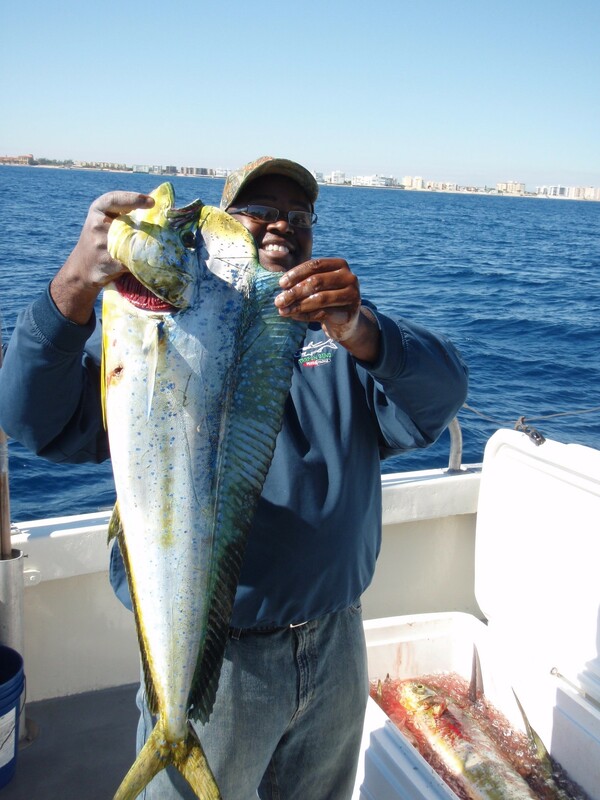 Cold weather and few fisherman this Wednesday were responsible for a solid catch of dolphin, snapper and mackerel. It may be cool out but the hot Mahi Mahi bites have been keeping anglers warm aboard the Lady K since the weekend and the beginning of the week. 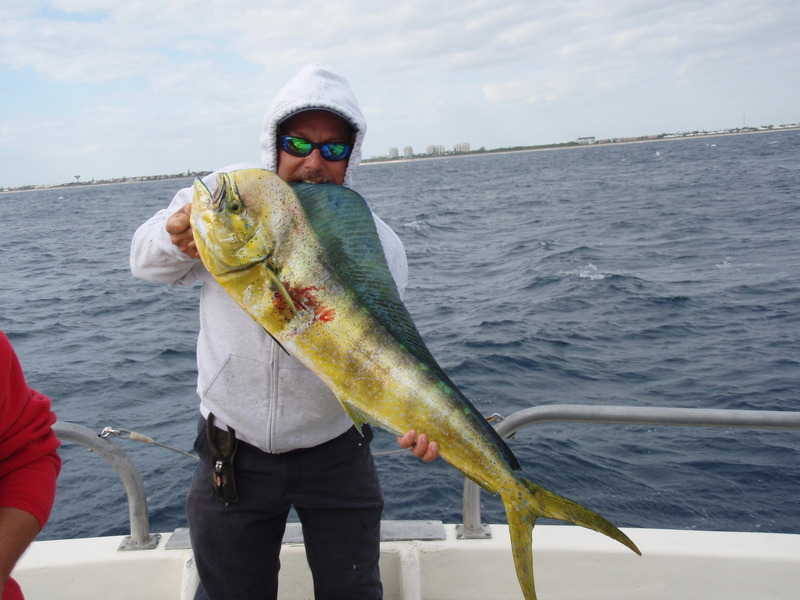 Oh what a beautiful morning………………………………………………………………………..
Bull dorado in the 20 plus pound range have been taken by anglers fishing lighter lines on spinning outfits………………………………….. 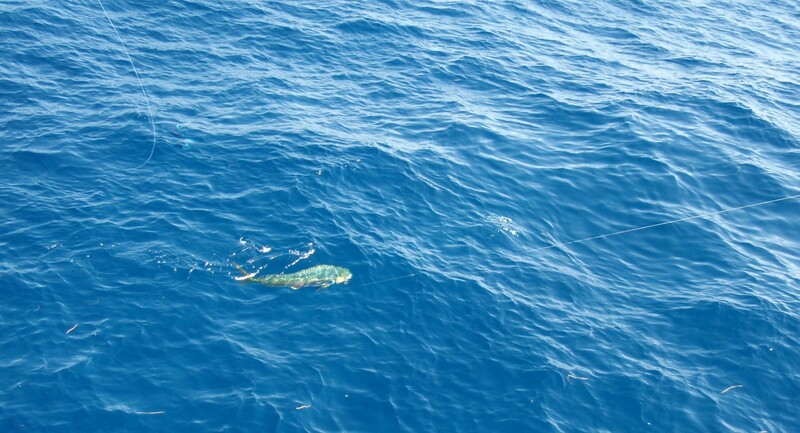 The captain’s eye view of a hooked Mahi Mahi being reeled up to the boat – where’s the followers?………………………………………. 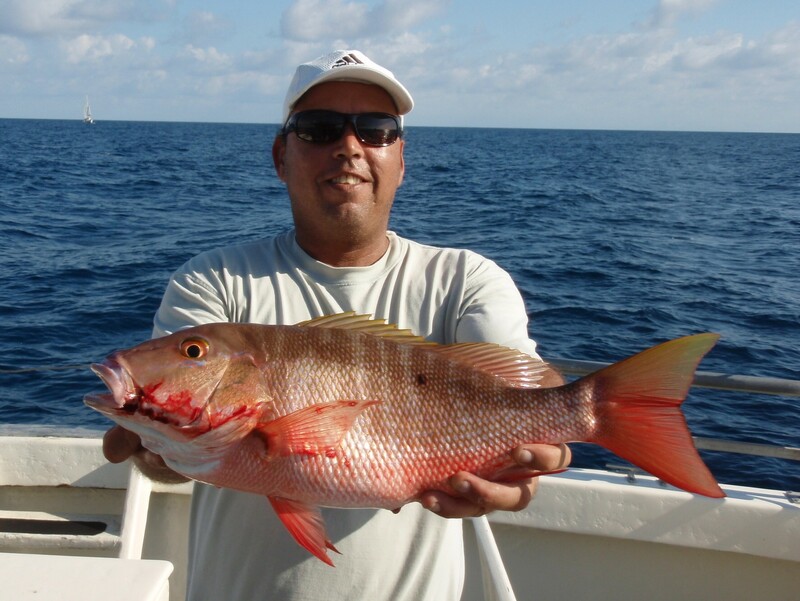 Nice Mutton Snapper have been hitting during the afternoon trips along with King Mackerel, a few sailfish releases and various small shark species…………………………. 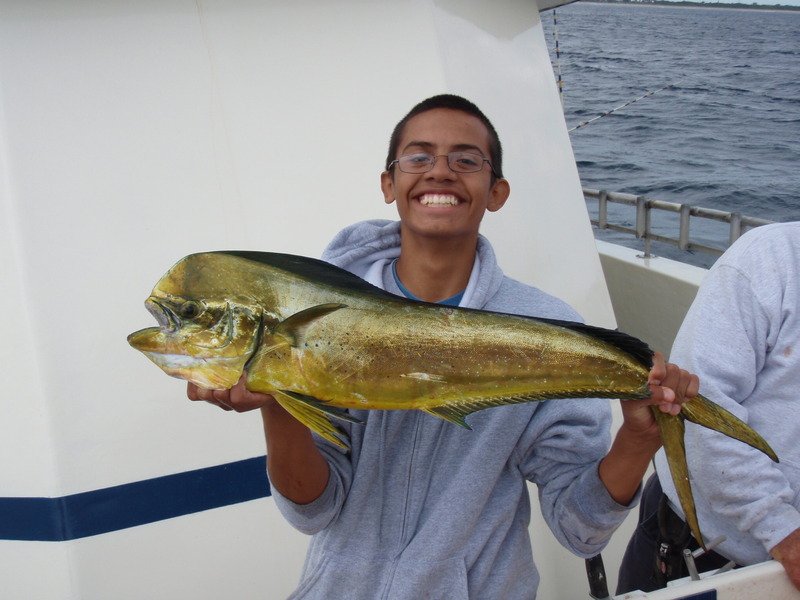 Overcast choppy conditions proved to be the right mixture for this young angler………………………………………………………. Adding another bull to the box. 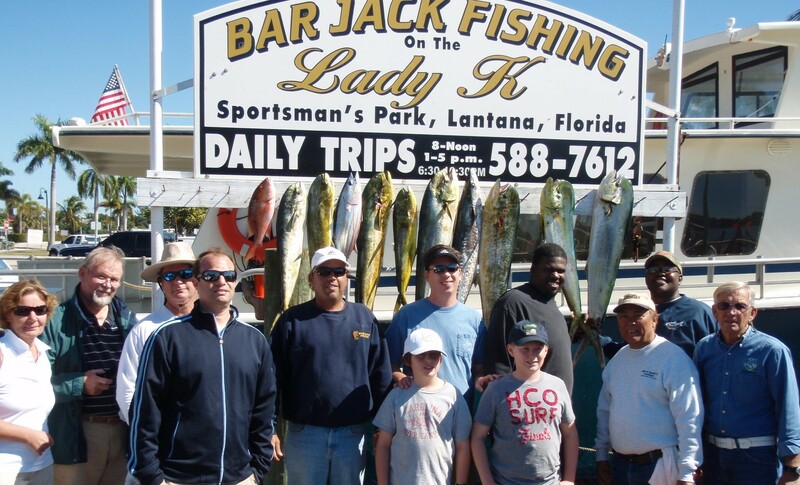 Come get your game on at Barjack Fishing while fishing aboard the Lady K. Our crews will take care of all your sportfishing needs while you just reel’em in. 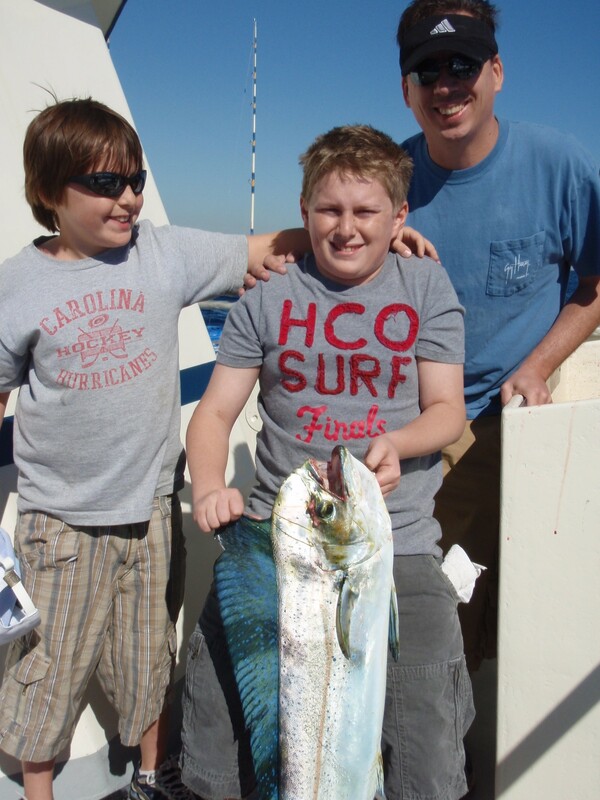 Plan a trip today and enjoy Florida the old-fashioned way – fishing with family and friends.